The Bakersfield Campus at Unitek will celebrate their one-year anniversary with a ceremony, an open house, and a tour for the public. “We are thrilled to celebrate all of our accomplishments at the Bakersfield Campus,” said Janis Paulson, Chief Executive Officer at Unitek Learning. Unitek College will host a community event to honor the one-year anniversary of their Bakersfield Campus. The main ceremony will begin at 11:30 am PST, which will include several honorable dignitaries and esteemed guests. A reception will directly follow the main ceremony with delectable food and drinks, while a private room will be made available to VIP guests. From 12:30-2:00 pm, the public will have access to the Bakersfield Campus through a series of guided tours. During the past year, the Bakersfield Campus has provided students with exceptional programs in Medical Assisting and Vocational Nursing. Through a series of tours, Unitek plans to showcase the classrooms and labs that are creating new generations of healthcare professionals. To commemorate the one-year anniversary of the Bakersfield Campus, this celebration will feature the following dignitaries and attendees: Vince Fong – Assembly Member of the California State Assembly, Shannon Grove – State Senate Candidate of the California State Senate, Karen Goh – Mayor of the City of Bakersfield, Janis Paulson – Chief Executive Officer at Unitek Learning, Dr. Abdel Yosef – Chief Academic Officer at Unitek Learning, Dr. Navneet Bhasin – Chief Operations Officer at Unitek Learning, and Chad Tongco – Bakersfield Campus Director at Unitek College. 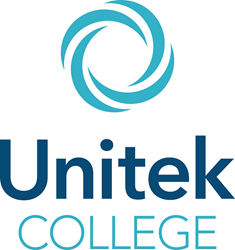 Unitek College is one of California’s reputable healthcare and nursing colleges. Taught by experienced professionals, Unitek programs teach the best-practice clinical technique and theory used in the field today. Equipped with a multitude of sought-after skills, Unitek graduates are prepared to excel in many of the fastest-growing careers in healthcare and nursing.